". . .he is probably one of the best political directors in the country. . ."
-Georgia Democratic Party chairman Mike Berlon defending Democrat political director Ali Rashad Richey. Ali Rashad Richey is a convicted criminal. As former Secretary of Defense Donald Rumsfeld would say, that is a known known. Richey's signed guilty plea is on file with the State Court of DeKalb County. Ali Rashad Richey also owes over $4,000 in back child support. 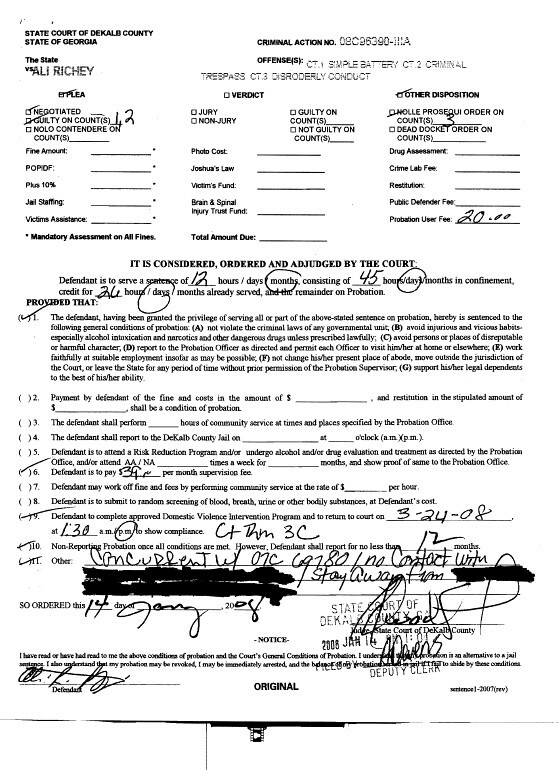 Court records filed (pictured right) with the Clayton County Clerk of Superior Court show that Rashad Richey, political director for the Democratic Party of Georgia, is currently having $798 withheld from his Democrat Party paycheck every month to support a child. 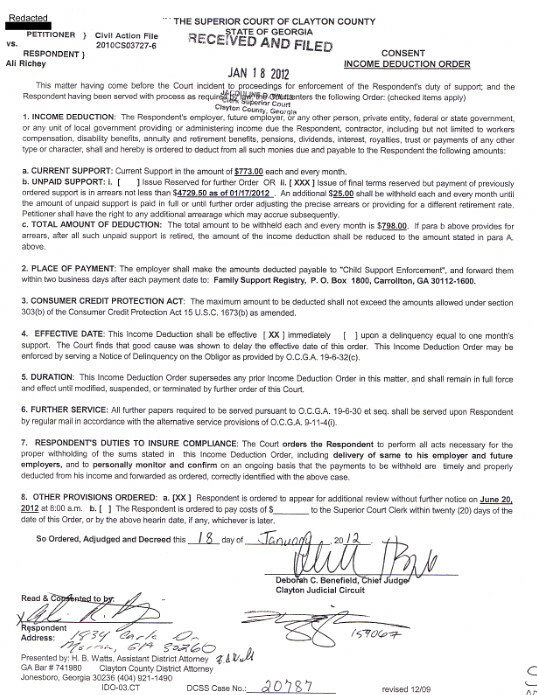 And yes, the Democratic Party of Georgia, under the leadership of Chairman Mike Berlon, does comply with the court order signed by Judge Deborah Benefield. So, Rashad Richey, one of the best political directors in the country according to Mike Berlon, is a convicted criminal. And Rashad Richey, one of the best political directors in the country, owes $4,729.50 in back child support as of January 17, 2012. If Rashad Richey is one of the best political directors in the country, then I'm a vernicious knid. Surely Mike Berlon and the Democrats can do better.